Jim Vibert of Windwalker Boats in Ottawa, Kansas, wrote us earlier this year to tell us that he'd just delivered a San Francisco Pelican to a client in Topeka, Kansas. He has posted a series of pictures of her construction on the Windwalker website. 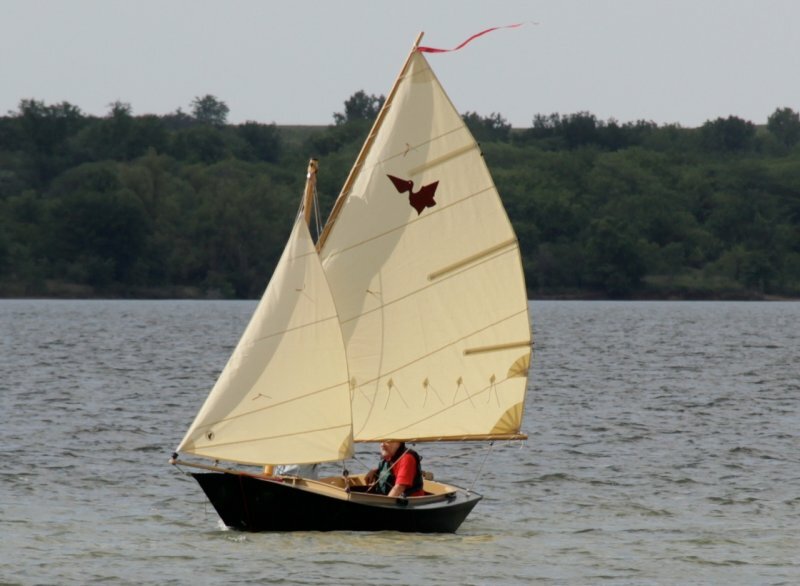 Jim built the hull from white oak and meranti marine plywood, then covered it in Dynel. He told us that she has deadeyes in her rigging, a yuloh for auxiliary power, and the sails were made by Dabbler Sails. Bear Weiter took this picture of the Pelican under sail. Contact Jim for more information at jim@windwalkerboats.com.